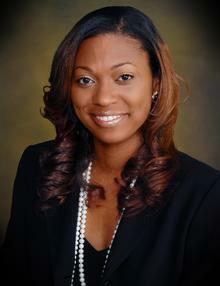 Attorney Miya Griggs is the managing partner at The Law Office of Miya Griggs primarily practicing in Criminal Defense and Personal Injury. Attorney Griggs believes in fairness, justice, freedom, equality and the evenhanded application of the law. As an experienced former prosecutor, she is equipped and prepared to zealously defend and advocate on your behalf. Unlike any other firms you will get hands on representation from an attorney who is not only familiar with the process but who has been trained in how to deal with your specific legal needs. Attorney Griggs is a member of the State Bar of Georgia and offers unwavering commitment to the community and a passion for helping others. The Law Office of Miya Griggs provides unparalleled Criminal Defense and Personal Injury experience in Atlanta, GA. Our firm treats every client as if they are a part of our family. Other firms may offer similar services, but our representation is the best, and come with a personal touch. The materials appearing on this website are provided for informational use only, and are in no way intended to constitute legal advice or the opinions of this law firm or any of its attorneys. Transmission or receipt of any information from this website does not create an attorney-client relationship, and you should not act or rely upon any information appearing on this website without seeking the advice of an attorney. Moreover, because the law is constantly changing, the materials appearing on this website are not guaranteed to be correct, complete, or up-to-date. Sending an email to our office does not create an attorney-client relationship, and none will be formed unless there is an expressed agreement between the firm and the client. Thus, we strongly advise against sending confidential or privileged information to us until you can establish such a relationship. Furthermore, we advise against sending privileged or confidential information through e-mail at all, since we can in no way ensure the security of your e-mail. Links that may appear on this site are intended solely for your convenience in identifying and accessing other sources of information, and are not to be construed as being endorsed by or affiliated with our office. Furthermore, The Law Office of Miya Griggs does not imply that it is legally authorized to use any trade name, registered trademark, symbol, logo, or seal that may be reflected in any of these links. The Law Office of Miya Griggs has sought to comply with all legal and ethical requirements in creating this website.